In Gear! 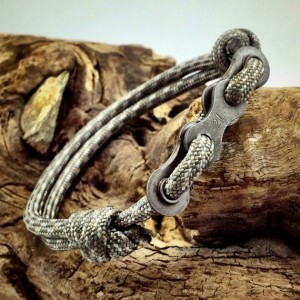 Chain & Paracord Bracelets Home | About Us | Opportunities | Sponsorships | Contact Us! Last week we were lucky enough to experience some of the amazing work done by Designed Turning up close and personal. 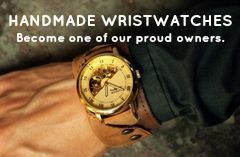 This popular Etsy shop creates custom stamped men’s bracelets made from upcycled bike chain and paracord! The designs and color options are endless, the materials are tough and good looking, and the artisan work is second to none. These bracelets make the perfect gift for any guy, and the custom stamped chain links are a great way to show your love in a way that he’ll be happy to wear proudly everyday. We loved the work from this shop so much that we decided to feature some of the pieces we experienced and share our reviews with you. Enjoy! The bracelets from Designed Turning are made from professional grade paracord which is an extremely popular material to use these days. It comes in a huge variety of masculine colors and patterns so it’s a win-win when it’s incorporated into jewelry design. 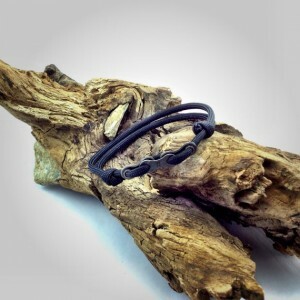 The addition of upcycled bike chain pieces adds texture, interest, and strength to the already awesome paracord design. The cord is woven through the chain elements to give shape and comfort to the bracelet. When you select your bracelet the folks at Designed Turning have options to hand-stamp initials, dates, or other important information on the center chain link. This is a great way to commemorate someone’s initials, a special date, or something else you want to keep close at hand. Each bracelet is made by hand the day it’s ordered to perfectly fit each wrist. Sizing is simple, and they provide really easy instructions at their Etsy shop. The average custom stamped and sized paracord and chain bracelet is well under $20 making it a great gift for any guy in your life – or a great treat for yourself! The quality is high-end due to the materials used, and the design and construction will ensure the bracelet lasts a long time. 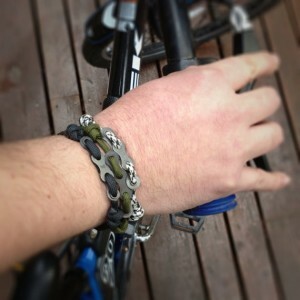 We love the paracord and bike chain bracelets from Designed Turning and are huge fans of this shop. The quality, price, design options, and customer service can’t be beat and we’re proud to give them a raving Handmade Men review! Tagged Bike Chain, Bracelets, Designed Turning, Paracord. Bookmark the permalink.